Since the invasive rodent appeared in California last year, nutria issues have continued for California farmers. 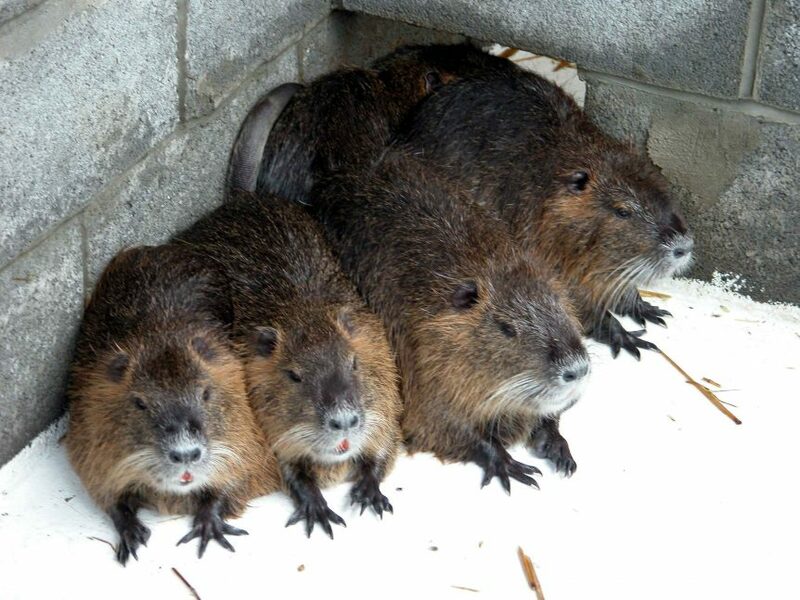 The California Department of Fish and Wildlife (CDFW) has found 379 nutrias in the state as of January 16, 2019. That number has grown from 20 just under a year ago. 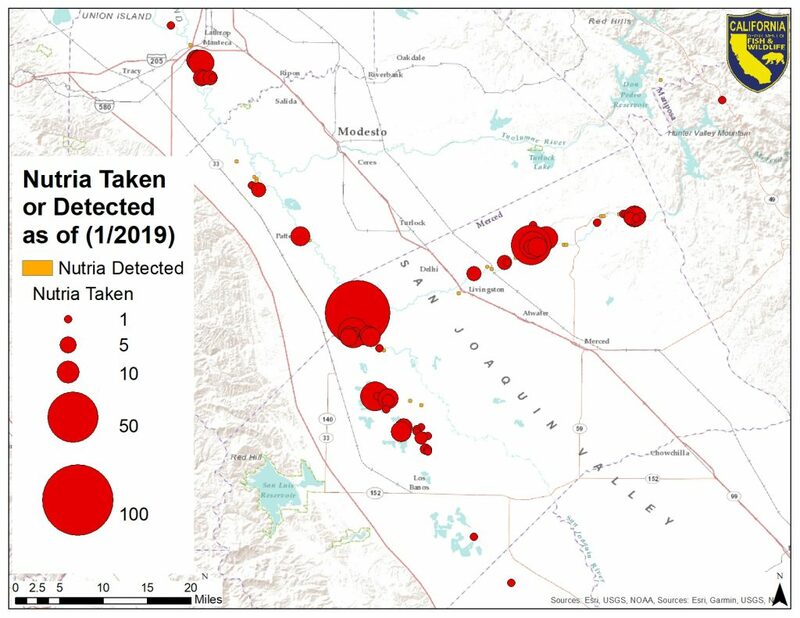 The vast majority have been found in Merced County, with several more found throughout San Joaquin, Stanislaus, Fresno and Mariposa counties. The first breeding population was discovered in September 2018 near Manteca, with 30 nutrias being captured. The large rodents can cause various types of damage including the destruction of crops and vegetation as well as burrowing into banks and levees causing flooding issues. Nutria can eat as much as 25 percent of their body weight on a daily basis. The semi-aquatic mammals share a strong resemblance to beavers, with a body length up to 2.5 feet and weighing approximately 20 pounds. Left unchecked, nutria populations can grow in a relatively short amount of time and cause a significant amount of damage in large enough numbers. A female nutria can be responsible for as many as 200 offspring annually. An infestation in Louisiana destroyed more than 40 square miles marshland. While nutria are an invasive species to California, it is not the first time the rodenisas been a problem for the state. The California Department of Food and Agriculture determined that they had been eradicated in the 1970s. 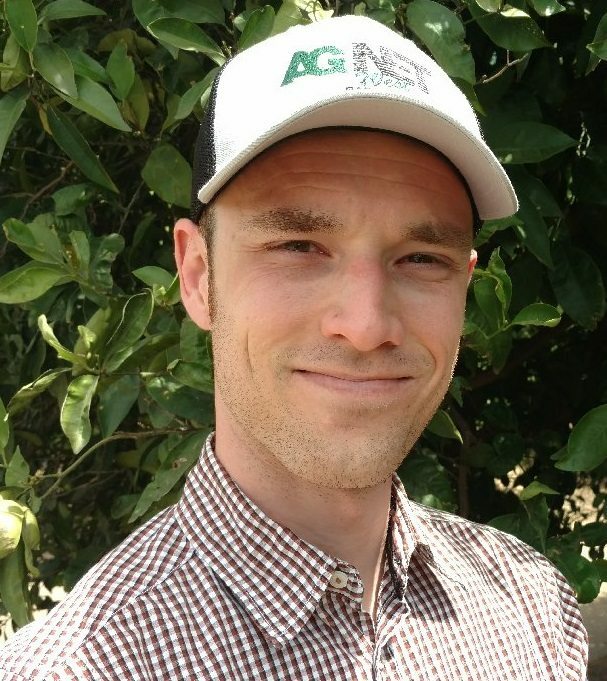 The CDFW has been working with the agricultural community in collaboration with multiple other agencies including the U.S. Department of Agriculture to address the problem. Survey teams have been dispatched in an area covering the Delta through the San Joaquin Valley. So far, the CDFW has indicated that cooperation from landowners has been positive. Anyone who may be dealing with suspected nutria issues is encouraged to document and report possible signs to the CDFW.